Another academic year draws to a close and we have been evaluating the impact of our professional learning options 2016-17. 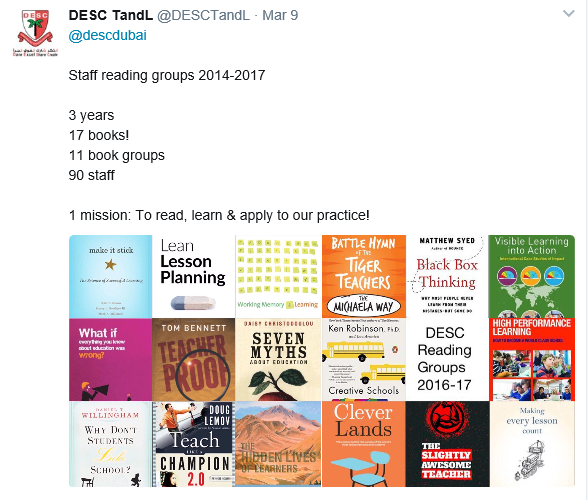 53 staff have been involved in our ‘Book club’ initiative this year, reading educational literature and then meeting regularly to discuss how the findings can be applied to our context and help support the improvement of learning at our school. Can you give an example of how something you have read has impacted positively on your practice? Overall what would you regard as the strengths of reading about teaching and leadership? How could we improve book club? Would you participate in a staff book group again in the future? Reading groups 2016, It’s a wrap!